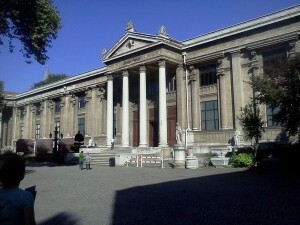 Archaeological Museum was founded by decree as the Imperial Museum. When it opened to the public in 1891, it was the first one to feature Turkish art. 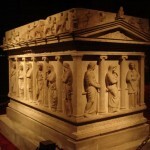 Since the imperial decree protecting cultural goods in the Ottoman Empire was enforced, many governors from the different provinces would send in found arte-facts to the capital city. 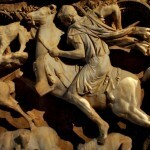 In that way the museum was able to amass a great collection. Upon its 100th anniversary in 1991, the Museum received the European Council Museum Award. 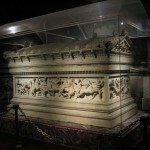 The ornate Alexander Sarcophagus, once believed to be prepared for Alexander the Great, is among the most famous pieces of ancient art in the museum. The Kadesh Treaty (1258 BC), signed between Ramses II of Egypt and Hattusili III of the Hittite Empire, is another favorite of the visitors. It is the oldest known peace treaty in the world, and a giant poster of this tablet (treaty) is on the wall of the United Nations Headquarters in New York City. 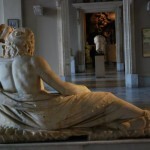 The museum has a large collection of Turkish, Hellenistic and Roman artifacts.